Does your dad grow? Maybe he just loves to taste terps? Give him a Goldleaf notebook to keep track of his marijuana musings. And in honor of Father’s Day, Goldleaf has teamed up with Colorado dispensary Lightshade to release four custom art prints to benefit Project Sanctuary, a non-profit working to re-acclimate veterans to family life and their communities. The sophisticated pot prints are of luscious landmark strains like White Dawg and Blue Dream. Dad can jot down his weed-tasting preferences and grow notes while admiring excellent art—and you’ll have contributed to a good cause. 100 percent of the profits go to Project Sanctuary. This sleek series of ceramic pipes from California are perfect for the low-key weed smoker. If your dad loves good design, he’ll go nuts for Summerland bongs and pipes. Pick up a Fruit Fantasy apple pipe to show him you care, or go big with the Land Yacht bong. Its double chambers give off an “Ahoy, there!” vibe. Your stoner dad will love it. Oregrown gear is an easy gift for the super chill dad. If your dad is into the outdoor way of life—snowboarding, surfing, hiking or just appreciating the beauty of the natural world—a comfy Oregrown tee or jersey is just the ticket for a Father’s Day gift. 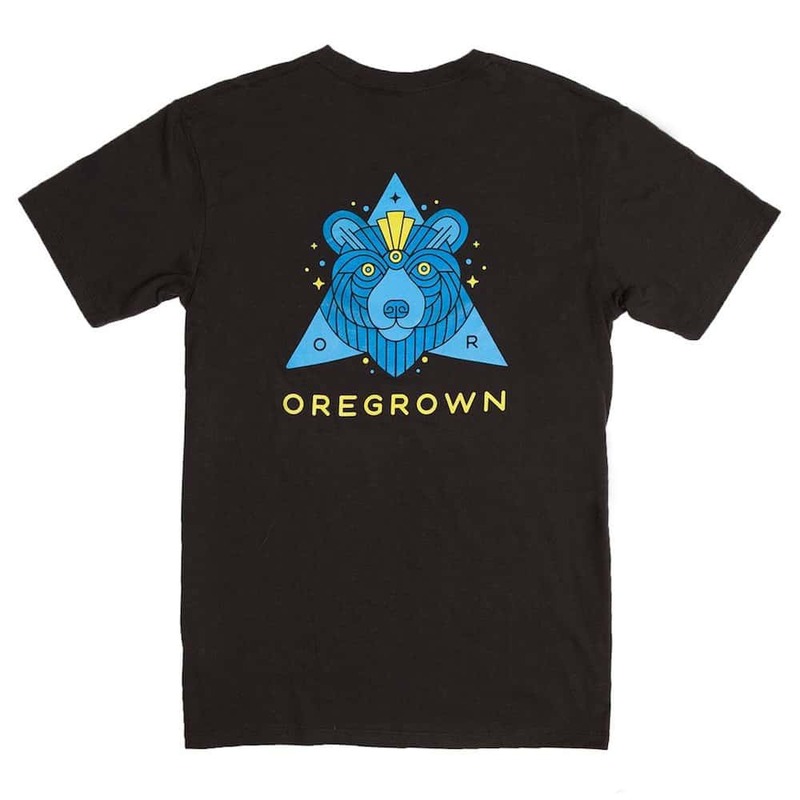 Celebs like Lukas Nelson (Willie’s kid) sport the clothing brand, which represents Oregrown’s commitment to premier farm-to-table style of cannabis growing. Check out the whole line of shirts, snapbacks and more. The Pitch’n’Puff combo pack from Puffingtons will let your golf-loving father play right through. The Pitch’n’Puff pack contains a clever little one-hitter masquerading as a golf tee, plus a hollow golf ball designed to stash his greens while on the green. It’s the perfect combo for a fun afternoon of golf and ganja with your dad. Is your dad a cannasseur? Cannador is the gift for those who truly love top-shelf flowers. The weed humidor perfectly preserves terpy treasures with uniquely designed airtight storage, controlling humidity at the perfect levels to maintain freshness and taste. Dad can even pair the Cannador with a smartphone-capable app that measures relative humidity. He’ll totally geek out for this great gift. Check out the entire line of Cannador products, including a mahogany roll tray and travel cases. Phoenician grinders feature a heavy-duty design that grinds even the stickiest of buds into fine crumbs. Depending on how much cash you want to drop on your pop, you can choose from a simple two-piece grinder that will get the job done, all the way up to the Elite—a 24K gold-plated four-piece tool that costs fifteen hundred smackeroos. Get your dad an awesome, rugged grinder that will last him for the rest of his life. He’ll think of you every time he blazes. The handiest little tool around! Fathers will love this little pocket device. New Nuggy models have a heat-resistant aluminum oxide shell that doubles as a carb cap. The Nuggy Dab sports a pick, spoon, paddle and fork, while the Hybrid contains a pick, scraper, spoon, paddle, knife and clip for both concentrates and flower. The Original Nuggy is also available, with 10 different smoking tools in a single device. Each tool stays in place during use with a spring-locked system. The Nuggy is like a pocket knife, but for weed! Available in blue or pink. Michael Pollan has enlightened many with his explorations of where nature and culture intersect. He wrote stirringly about the evolution of cannabis in relation to humans in The Botany of Desire. Now Pollan has dived into the medical and scientific revolution taking place around psychedelic drugs—and tells the spellbinding story of his own life-changing psychedelic experiences. How to Change Your Mind makes a great gift for any dad interested in an engaging and enlightened investigation of this new frontier of medicine and science. Dads use body products too! Apothecanna offers a terrific line of topicals that are great for men. In particular, the Extra Strength Relieving Body Spray is perfect for sore muscles and swollen joints before and after athletic activity. Your dad will appreciate the cooling sensation, fresh scent, and the deeply penetrating relief for his aching back, or knees, or whatever it is that dads complain about. Your dad has probably never seen a grow, right? 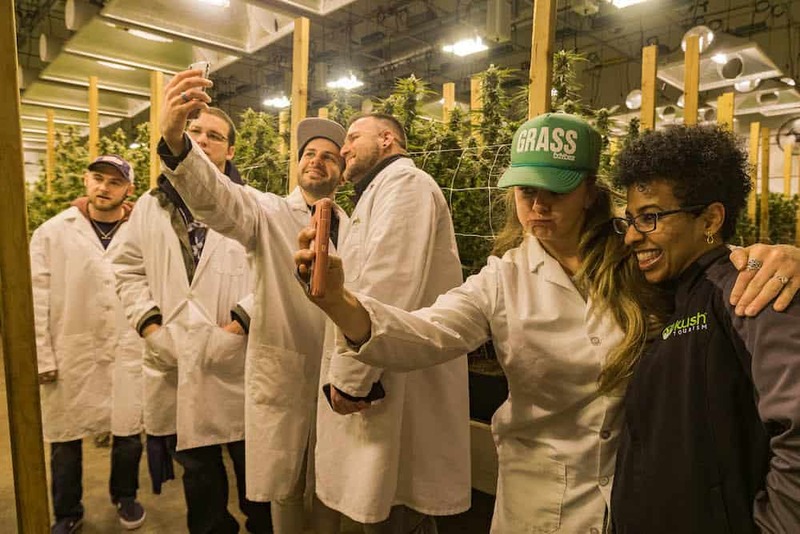 Blow his mind with a tour of a commercial cannabis facility! Colorado Cannabis Tours offer exclusive access to Medicine Man Denver’s state-of-the-art growing facility and include a live glass-blowing demonstration. Denver company Seed & Smith offers free facility tours. And there are several other companies around the country getting in on the game. Kush Tourism has plenty of tips on where to go and what to do for a cannabis tour experience. Take a trip with your dad to celebrate this Father’s Day, and your special bud bond.